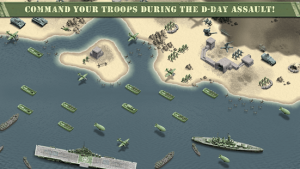 1944 Burning Bridges : Duty calls: Experience exciting strategy gameplay and master challenging military missions! Destructible and repairable bridges as tactical hot spots! Google Play game service support! Totally awesome, I like this game. Love the graphic and sounds! Highly Recommended! It would be great if we can save to cloud just like 1941 Frozen Front.